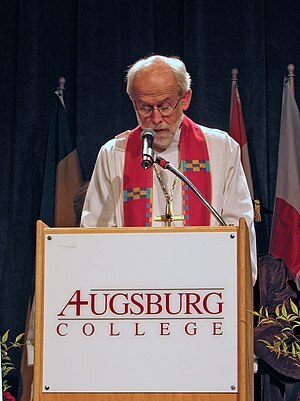 Presiding Bishop Mark Hanson fell short of the required votes to be re-elected on the first ballot as head of the nation’s largest Lutheran denomination. Bishop Hanson garnered 440 of the 877 valid ballots cast during a meeting in Pittsburgh today of the 4-million-member Evangelical Lutheran Church in America. Although it was nearly 400 more votes than the runner-up, it fell short of the 75 percent needed to elect on the first ballot.